What is your ‘brand’ of excuse? What excuse do you use to justify why you can’t do something? New Year and Summer bikini ‘resolutions’ are hard to keep because they are too ambitious and disrupt your life so much. Whilst I fully appreciate that expectations and realistic goals can be out of out of balance, there does come a point when you could do something to change your life and yet….. your excuses abound. When the New Year dust settles and you realise that your lofty ambitions aren’t going to be met, the excuses for why you failed, come up. So how can you differentiate between a lofty, ambitious plan that was too hard to realise in the first place and when you are using a plain old excuse that you were never going to do anyway? You would probably be surprised to know that everyone falls into a familiar pattern of justifications. You use a similar reasoning for WHY you can’t do something, which excuse pattern do you use. Dear gorgeous girl, that is a plain old excuse! Did you know that your excuses are easy to spot and there are 10 excuse patterns? What is your weight loss excuse? What excuse do you use on a daily basis to justify why you can’t do something, like getting fitter? When you are asked to help your best friend to put together a charity event, what is your brand of excuse? Of course, some tasks are way out of your ability or comfort level so you can be excused the odd opt out – like running a marathon. But what about those challenges or dreams that you have that you can absolutely do if you set your mind to it. If you spend the time and lay out your dreams and think about what you really want from life then what is actually stopping you? When your morning alarm goes off and you lie in bed listening to your own stream of thoughts or in my case babble, what is your inner dialogue saying? What excuse are you using to justify why you can’t get up and go for a walk in the rain? Your excuses are decaying your dreams. Here are some common excuse threads, which one do you use? I don’t care what anyone thinks I am very happy with the way I look. I don’t want to be skinny because people love me the way I am. Anyway if I was skinny it would be too much like hard work and I would never keep up, why should I even bother? Life is too difficult, my husband never supports me and always wants to go back to the old way we lived. If he doesn’t come on board with my new regime then I can’t stick to it. The changes I want to make are beyond my control, in fact, my entire life is beyond my control. I was born fat, I was born this way and I can’t behave any differently, my mum struggled with her weight and confidence her whole life and I am exactly the same. There is nothing I can do about it. I have the fat gene. I can’t help it, everybody in my family eats crisps and chocolates. It is the way we relax, it is the way that the family come together and spend time with each other. Spending time eating crisps on the settee is our quality family time. I can’t change that, it is what my kids/husband expect. The kids want biscuits in the house and if there are biscuits in the house I have no self-control I eat them. Do you use the excuse that you are so busy and so overwhelmed you haven’t got time to change your life. And yet there is that frustration that no one is helping you or appreciating you. Nobody is noticing how hard you have to work to make your life and your family life run smoothly. You could simply ask for help. I hear this excuse A LOT – I have tried so many times and nothing works. Diets have failed before, why should this one be different? I have had a screwed up childhood, my mum was never around and my dad drank too much. NObody cared or looked after me and my brother so I turned to food. You are making the excuses and shutting down doors. Once you understand that these comments are simply excuses then you will be free. But no I will have lost you then, that is simply me being a bigger version of your own inner critic here to beat you up. I appreciate that you are an individual, with personal anxieties, yet the more you know yourself the easier it is to make changes. You know that ‘beating yourself’ up makes things worse. What I am asking is that you lift the veil, understand that you are making excuses and move forward with love and respect for your gorgeous body. Set up realistic steps forward, not desperate, dramatic steps forward. I know a lot of Health Coaches take the stance ‘CLOSE THE FRIDGE’ it is all down to willpower. but to be honest that says more about them than you. I want you to take the time and understand that all this mind chatter is you making AN EXCUSE. All of the thoughts going on in your head are excuses and I want you to know that you are SO MUCH better than this. You can be the best version of who you are meant to be. you can look smoking hot in a pair of expensive jeans and yes you bloody well can afford a good pair of jeans. You don’t have to spend everything you have on the cat! Making unconscious excuses means that your life is on autopilot you can only have the freedom to be who you are meant to be and who you want to be when you first fully understand how you speak to yourself, what excuses you make and where you have come from. TAKE ACTION and ask for help, if you don’t act you won’t change. Schedule a call with me to discover if Get Gorgeous is the right programme for your needs. You and I can talk through your health blocks, understand what is pulling you away from your health goals. 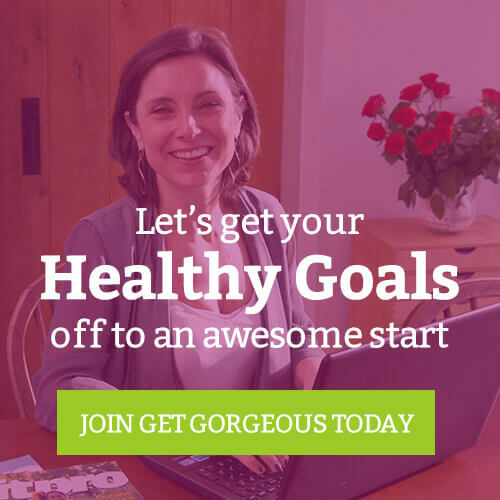 By the end of the call, you’ll know exactly what you need to do get your health goals in place. Once you are clear on that, we can discuss ways that I can help you to get your plan your health strategy in easy steps. We may decide to work together to help you reach your weight loss goals successfully – and if so great – if not then that’s okay too. You’ll still have a clear plan to move your life forward.